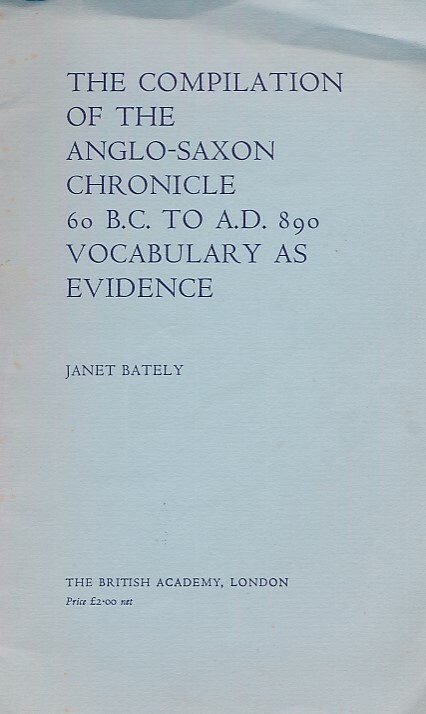 Barter Books : Bately, Janet : The Compilation of the Anglo-saxon Chronicle 60 B.C. - A.D. 890 Vocabulary as Evidence. 220 x 140 mm (9 x 6 inches) - 129pp.